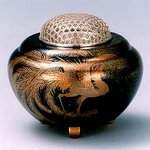 Description: This Koro in celedon glaze is 3-1/2 inches tall with a 2-3/4-inch diameter at the top and has 3 feet (traditional) and is suitable for senko (burning incense sticks). 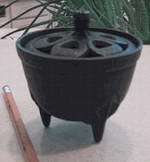 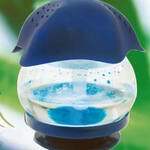 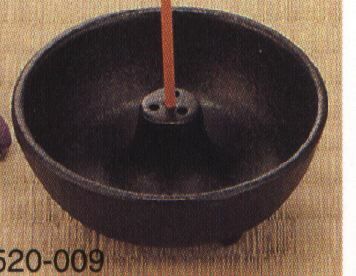 It can also be used for kodo with bamboo charcoal. 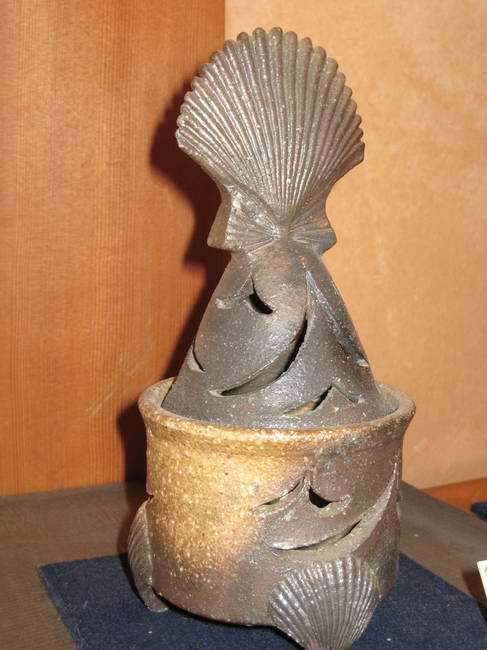 Description: 36 * 29 cm, Incense burner, Nabeshima porcelain of Okawachi, near Imari. 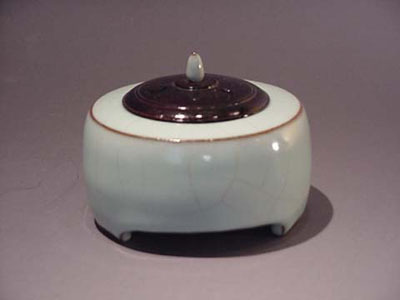 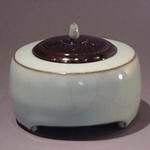 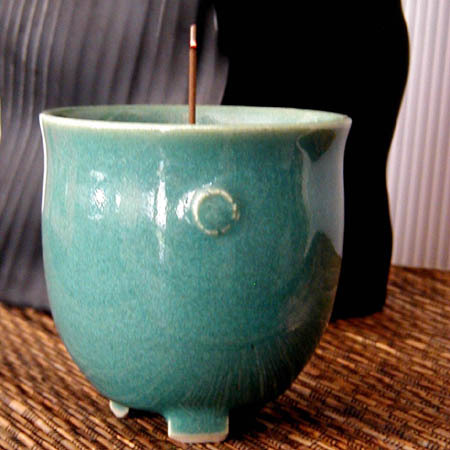 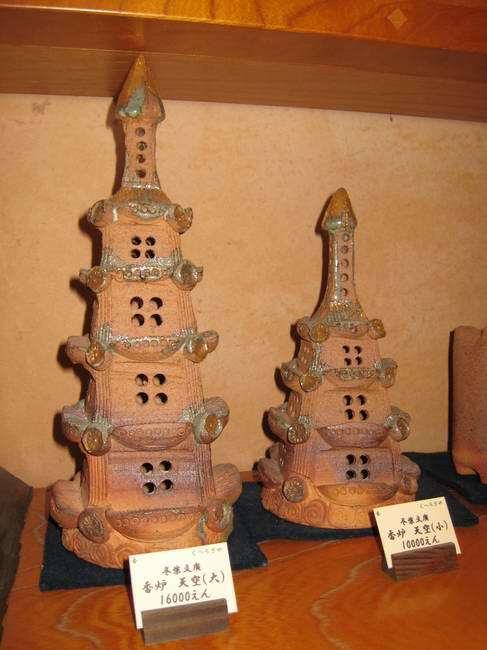 Description: Kutani porcelain incense burner. Kutani ware is a style of Japanese porcelain which was first produced in the mid 1650s in the area of Kanazawa, Komatsu, Kaga, and Nomi in Ishikawa Prefecture, Japan. 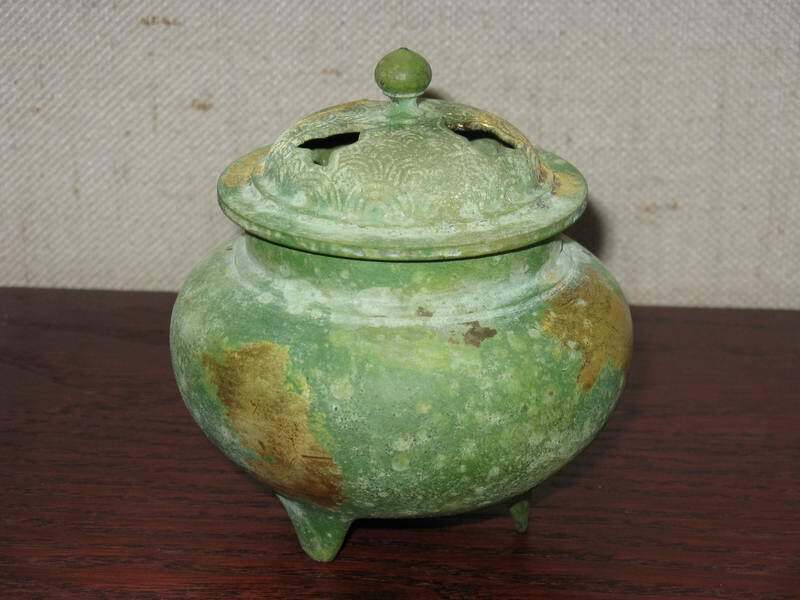 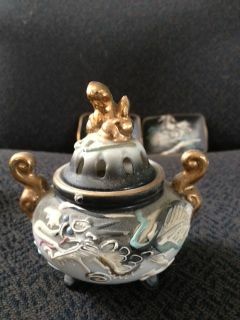 Description: Incense burner pot decorated with modern drawings and engravings. 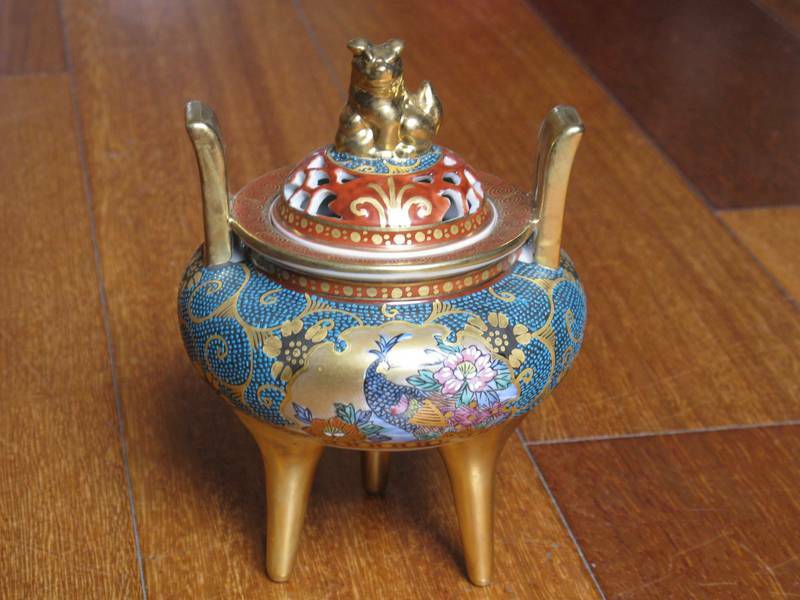 Gold gilded handles with Foo Dog on the lid. 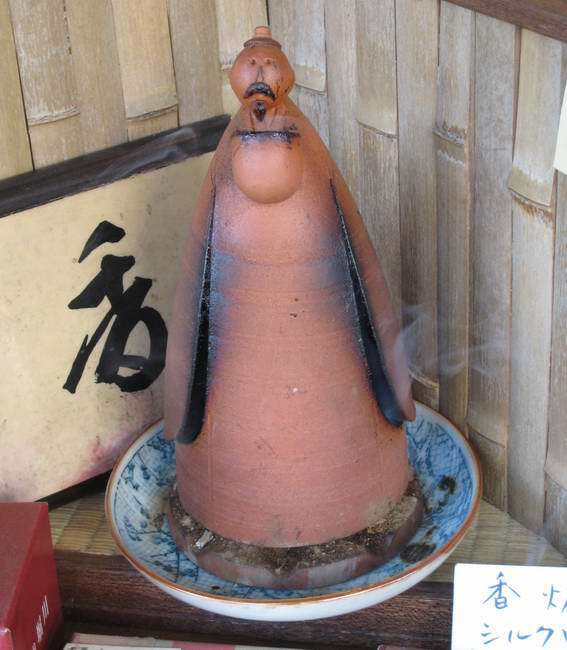 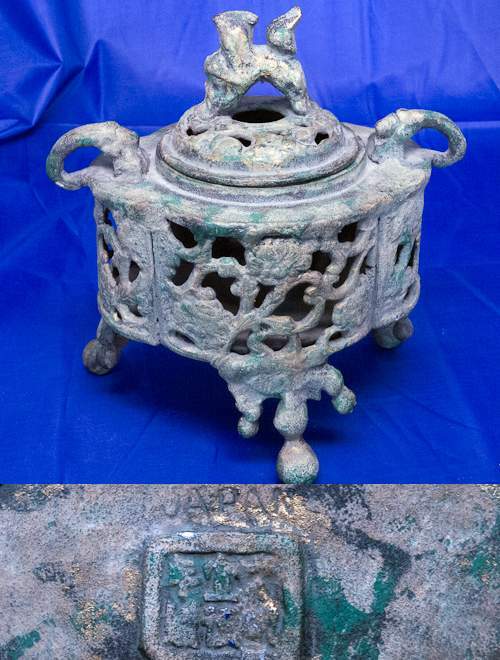 Description: Incense burner, looks old. 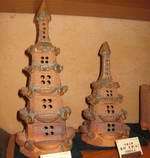 However, the word Japan is stamped on the bottom along with a mark that cannot be fully seen. 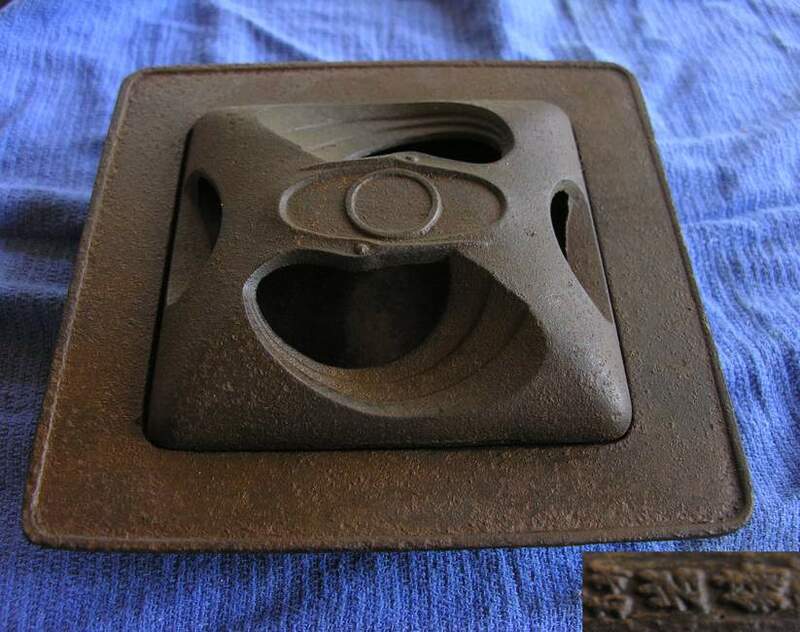 In addition, the casting appears to be very rough and it even looks soldered or welded, especially on the bottom. 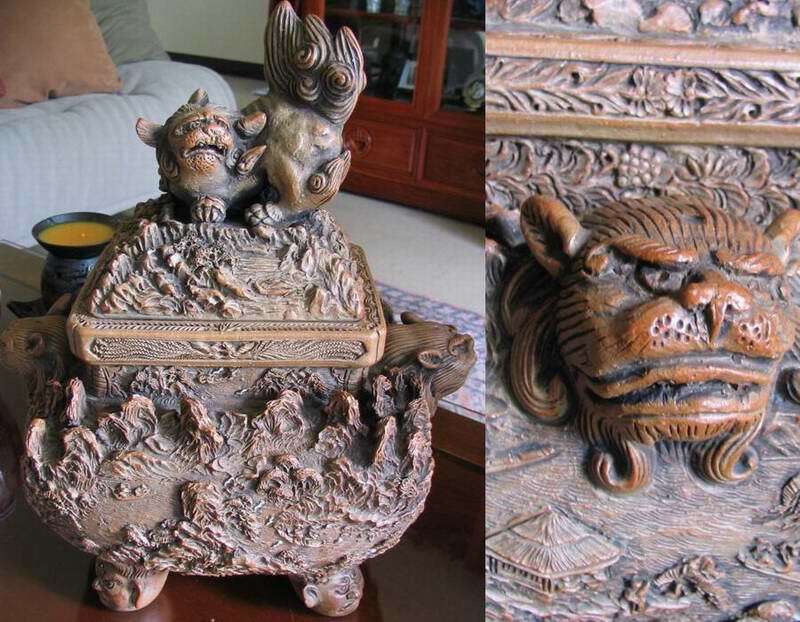 This indicate that this item is rather a reproduction.